We are excited to announce that applications for the 2019–2020 Youth Ambassadors for Queer History Program are now available! If you are a high school student in the Los Angeles area and are interested in applying, or if you are a teacher or educator that know students that might be interested, please download the application by clicking here. 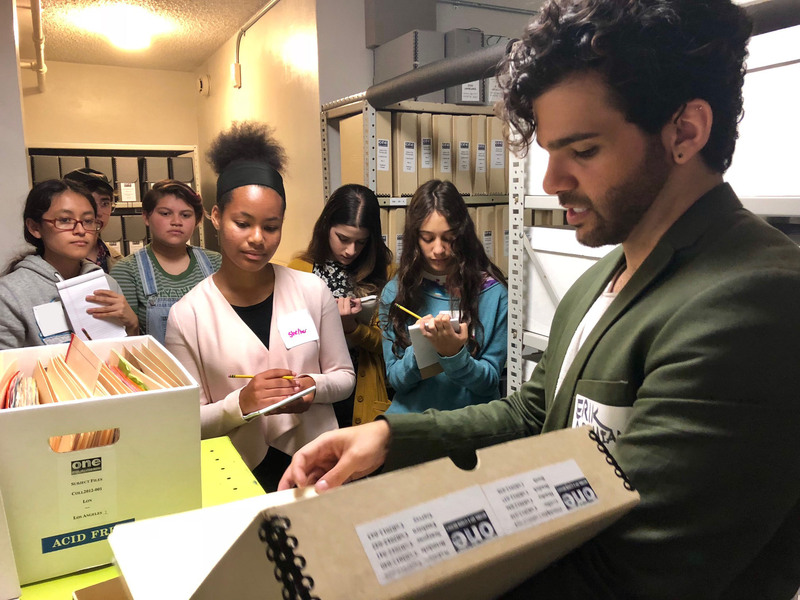 Through hands-on research projects and workshop sessions, the ONE Archives Foundation trains and mentors a core group of high school student leaders from across the greater Los Angeles area to become peer ambassadors for LGBTQ history and culture in their communities. 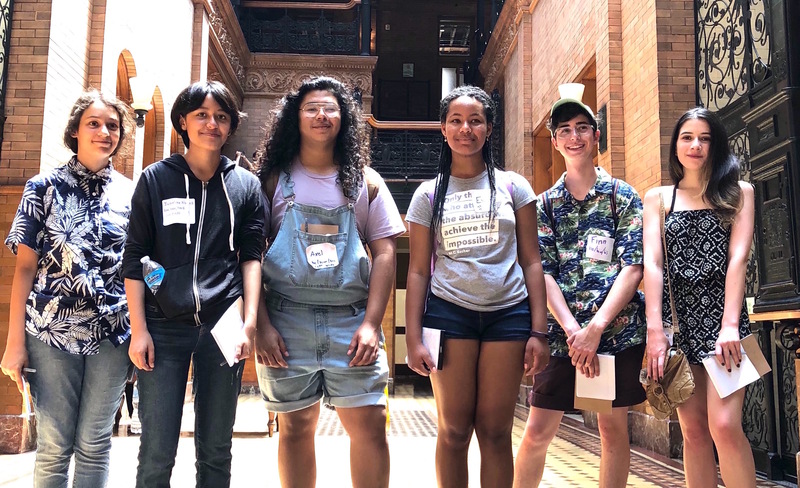 Starting this September, in its inaugural year, the Youth Ambassadors for Queer History Program will take place every other Saturday throughout the 2018-2019 academic year. The program includes LGBTQ history lessons by scholars, historians, and community leaders, research and writing sessions at ONE Archives at the USC Libraries, and field trips to LGBTQ organizations and landmarks. Synthesizing the knowledge gained from these activities and experiences, the students will create History Panels and other resources on topics such as the history of LGBTQ people of color in Los Angeles and beyond, LGBTQ individuals in performing arts and sports, history of LGBTQIA+ identities and more. Through this program, not only will students be able to utilize their perspectives in depicting LGBTQ history, but they will also gain community service hours, professional research and writing experience to ensure college readiness, collaborate with university professors, and share LGBTQ history with their peers. We look forward to expanding this program to statewide and nationwide levels within the near future. To learn more, please email Erik Adamian, Associate Director of Education, at eadamian@onearchives.org. Thank you to our Youth Ambassadors for Queer History Program Founders, Rob Saltzman and Ed Pierce! Rob and Ed have been strong supporters of LGBTQ organizations both locally and nationally. Rob and Ed met as students at Harvard Law School in the late 1970’s. They were together as a couple for 36 years from 1979 until Ed’s death in 2015 at age 63. Rob and Ed were legally married in California in 2008. Their lives together were focused on friends, family and children, combined with a lifelong passion for social justice and community service. Read more about our Program Founders here.